The Union Government of India has stepped in to stop the alleged misuse of drugs in the country. 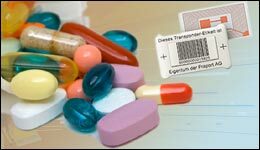 The Drugs Controller General of India (DGCI) has proposed a new law to prevent self-medication. If the new law is implemented, two prescriptions from doctors will be needed to buy antibiotics. The chemist will retain of these copies for verifications & audit purpose in future. There will be a fine of up to Rs 20,000 & up to 2 years of jail, if anyone is found violating the guidelines. The proposal has been sent to the Union Health Ministry for approval. The decision was taken after the reports of New Delhi Superbug NDM-1, which has reportedly become resistant to almost all drugs & antibiotics available in India.